I had the pleasure of meeting this wonderful newborn boy and his sweet Mommy, he was just 13 days new. Gabriel was such a dream to work with, not only did we get 99% of the poses, we also did the famous, “froggy pose” twice. For the session I used a light tan backdrop for the first set of posing and added some jean and red color accents to give that really give that baby boy baseball feel to the images. 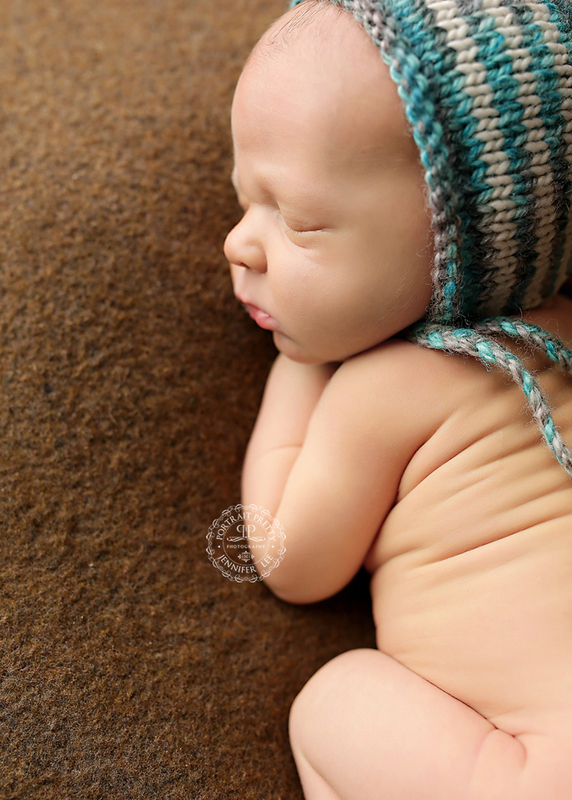 For the second part of the Buffalo newborn photography session, for the posing I used a dark brown backdrop. (which is one of my favorites) It really went with his skin tone well and accented it with neutral tones. As you can see Gabriel’s skin is just perfect, free from indentations and markings from my handling and wraps. Trust me, the last thing you would want is to print one of my portraits and have all that hanging on your wall, so if it was there, I fix it. I am so excited for the family to see their gallery. The froggy pose image I am posting is a composite image, meaning I took several images keeping newborn safety in mind and merged them all into one. There were hands on baby at all times during this pose. 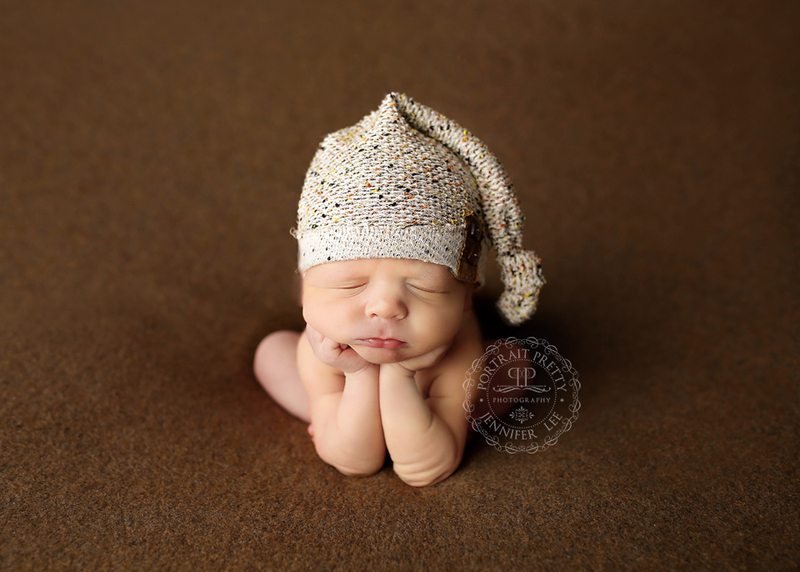 There is a ton of controversy over this pose in the newborn photography community. Some comments I agree with some I do not. I myself have been trained and continue to refresh my trainining to keep up to date on the latest techniques in newborn safety and posing. I believe that continuing education is important as a photographer. The best time to do the newborn shoot is before 2 weeks old, after this age, your baby will be more alert and less sleepy.